WinTrader V8.0: the best selling BUY SELL Signal Software with 9 years of Expertise in MCX, NSE, NCDEX, MCX SX, COMEX, FOREX Trading. Become a professional successful trader without any prior experience. WinTrader, The best selling and performing automatic BUY SELL Signal Software and Trading Systems being used by professional traders around the world for more than Nine (9) years successfully. WinTrader supports all global markets in Commodities, Stocks & Currencies such as MCX (India), NCDEX (India), NSE (India), MCX SX (India), NYMEX/COMEX (USA), FOREX (International). Currently, WinTrader Buy Sell Signal Software is one of the best and accurate Technical Analysis Software available in World Markets with the proven performance of Nine Years. WinTrader Buy Sell Signal Software is developed by Professional traders have more than 15 years experience in trading with the support of our well-qualified programmers to get the maximum accuracy that will assure you consistent profit in trading in all Global Commodity, Currency, and Stock markets. Our R&D team is continuously researching and developing new strategies for changing market conditions and with the trial & error, we will release WinTrader's new versions. We are keeping promises to our valued customers that all the existing clients will be installed new version free of cost under our lifetime free updates whenever new version releases. WinTrader BUY SELL Signal software designed in such a way that even newcomer in trading can easily pick confirmed BUY SELL signals with Targets and Stop Loss. WinTrader Trading System following Trailing Stop Loss Principle to minimize risk in trading, trailing stop loss means it will change according to the market movements, you can see the live performance your self with our FREE DEMO, Submit your details today itself to register your FREE DEMO. WinTrader gives highly accurate BUY SELL Signals with the help of double confirmation system, whenever new Buy Sell Signals comes WinTrader has option to select whether the generated signal good for trade or not without any confusion. WinTrader V7.0 equipped with advanced most complex algorithmic FOUR LEVEL FILTERING system that assures the generated BUY SELL signals will have more than 90% accuracy from the generated BUY SELL signals. WinTrader displays target in different levels and stop loss on screen. The stop loss will be trailing stop loss, This will change related to market movements. This will help each trader to book maximum profit with less risk in trading. WinTrader Buy Sell Signal Software gives you clear idea whether the generated BUY SELL signals is good for trade or not easily with our BUY - SELL Zone area detection method, it will plot on screen to simply identifies. WinTrader V8.0 equipped with the most advanced scanner, this sacnner will help the trader to easily identify the most trending scrips easily and make assured profit from trading with WinTrader V8.0 and Scanner. With in these seven years of journey our customers are satisfied with our technical departments prompt and fast support. We care more about our customer, so we appointed our tech department with qualified persons. Re-Entry Suggestion in WinTrader V8.0 will help the trader to maximize profit by re-entry in new signal when current trend continues in long time. WinTrader BUY SELL signal software with its advanced algorithmic coding style give highest accuracy Buy & Sell signals with Targets and Stop Loss. The generated BUY SELL signals accuracy will be fine-tuned with built-in hard-coded FOUR level filtering system for perfect entry signals. 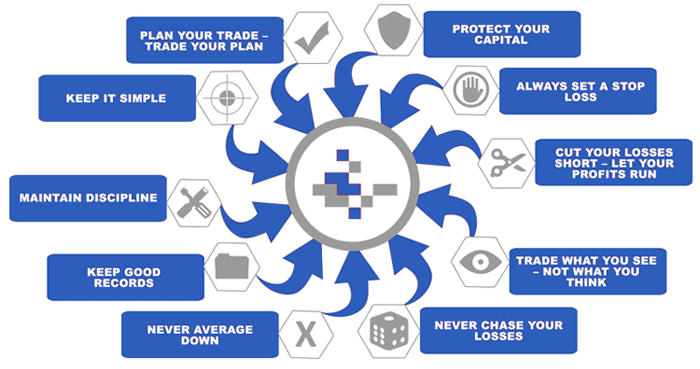 Wintrader helps the trader to easily identifies range bound market without any complex algorithm, so can avoid false buy/sell signals, thus increase in profit. WinTrader BUY SELL Signal software is suitable for all kinds of trading like Intra-day trading, Swing trading, Short Term Trading & Long Term trading. Works on world-renowned Charting and Trading Platform called MetaTrader 4 (MT4) with 100% accurate real-time tick by tick data. With one software, the trader will get most accurate BUY SELL signals in MCX, NSE, NCDEX, MCX SX & FOREX Markets. All the signals and suggestion from WinTrader Software comes up with POP up Alert message and sound, this will ensure the trader won't miss any opportunity. WinTrader is an Easy to use and understand BUY SELL signal software, no need any prior experience, even freshers can be a professional trader in a month time. Our FULL PACK comes with 100% free future updates, all the upcoming versions will be updated to our existing clients at free of cost. WinTrader is one of the best selling and award-winning BUY SELL SIGNAL SOFTWARE using by more than 8000 traders around the world. Star rated technical support by our in-house dedicated team, all the queries can be solved within 30 minutes if the query comes during in office time. FULL PACK comes with all the previous versions absolutely free of cost, traders can go through all the versions to increase the profit in different trading style. WinTrader is a perfect software, that makes you professional technical analyst without any experience and complex calculations in real-time. Live chat facility available in office hours through our official websites, traders can get in touch with us if they have any queries to be solved or support needed. See the performance in LIVE ACTION with our free demo, CLICK HERE to register FREE DEMO and see the performance in live. Within these Nine Years of performance by WinTrader BUY SELL SIGNAL SOFTWARE in World Financial Markets, WinTrader stands a good position in the hearts of professional traders around the world with its high success ratio in generated signals. The team behind the WinTrader is a group of full-time professional traders and their valuable experience in trading helps WinTrader to become one of the best performing technical analysis systems for the traders in Commodity, Currency and Stock market segments globally. The software supports all kinds of traders, it doesn't matter whether you are a day trader, short-term trader or long-term trader, WinTrader suits all the trading style. Why choose WinTrader as your best technical analysis system for successful trading in MCX, NSE, NCDEX FOREX & COMEX? Everyone in trading financial markets such as Commodity/Share/Currency Segments is looking for making income to achieve their dreams/goals for their financial freedom. We the WinTrader Team also agree with this, trading in the financial market is an easy way to make income as well as spoil your income if you not approaching trading in a professional way. The success in trading depends up on individual there are only a few people that make regular income from trading but the majority destroys their capital investment in trading. So what is the secret of success in trading? What is the key to being a successful trader? Everyone wants to be a successful trader to make consistent income from trading easily and also in quick way. In fact, most of them fail in trading and they will destroy their hard earned money due to their overconfidence. The successful trader’s secret lies with the timely entry and exit, so to become a successful trader one must know the perfect time for buy/sell entries and exits. Here the WinTrader BUY SELL SIGNAL Software as a perfect technical analysis system will guide you to timely buy/sell entries and exits with its award-winning technology that is capable of generating the most accurate buy sell signals for Intraday/Short Term/Positional Trading in FOREX, MCX (India), NSE (India), MCX SX (India), NCDEX (India), COMEX (USA).